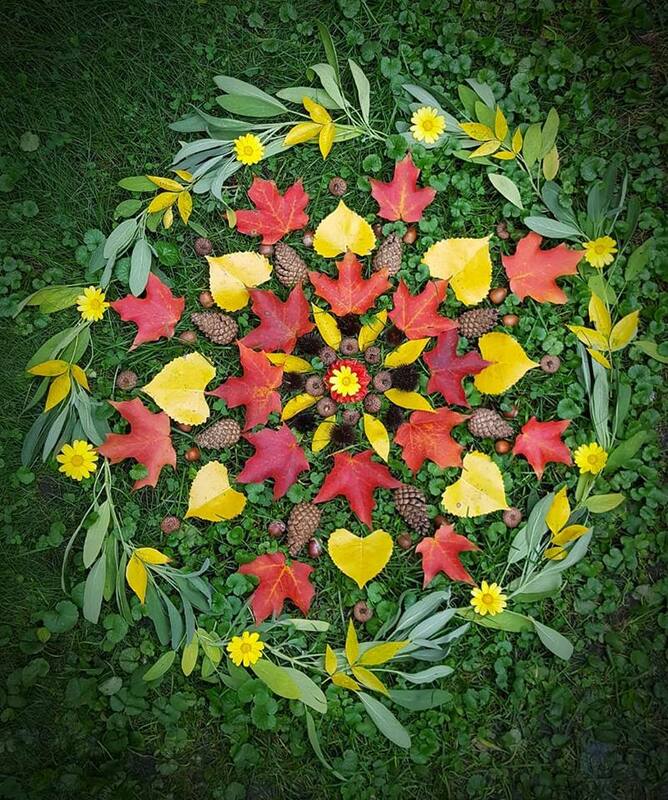 Julie at Ramblings from Jewels has been creating these gorgeous mandalas from leaves, nuts, and other gifts from nature. I love the vibrant look and feel of these unique mandalas. I might try to make a few myself once we have more leaves changing color here in Arkansas. 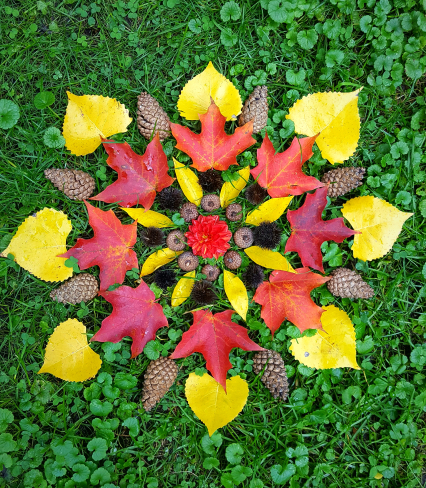 Thanks for sharing your beautiful mandalas, Julie! I thought so too Diana, and like you, Julie’s creativity inspires me to make on. Happy Mandala making! How interesting! Your poem and the images go perfectly together. They are certainly beautiful creations. Thanks Barbara. I like this, Brad. So cheerful. I know Julie and this is absolutely something she would do!! How cool! Just LOVE the colors and the creativity!! Greed Amy. These Mandalay are wonderful. Yes VK. Julie was lamenting the same. I hope you’ve had a great week! Thank you for sharing this. Agreed Sue. Julie’s mandalas are incredible!